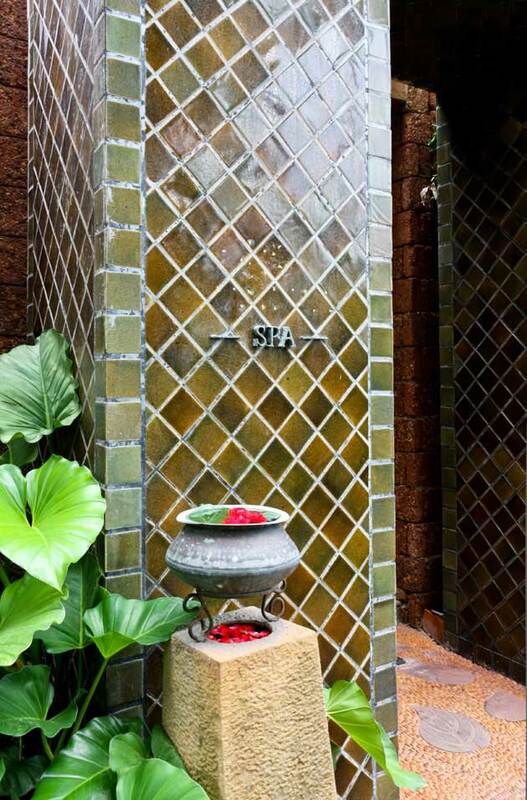 Hidden in the lush tropical garden of Anantara Hua Hin. From outside it seemed like a small and humble spa. In the reception we were greeted by the spa manager. After being seated we were served a refreshing cool towel and a ginger drink. 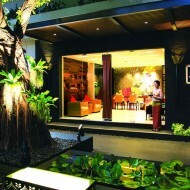 The spa menu had many treatments from massages to baths, body wraps, scrubs. 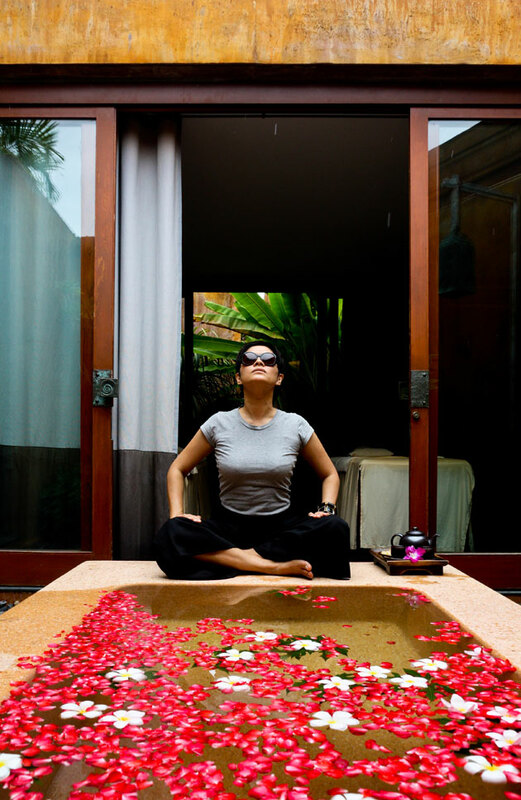 There are spa packages from a couple of hours to 5 day ritual. Five day looked really interesting, we would have selected this but we were not going to be there for 5days so we went for something more humble. For me after swimming with the kids I really needed a massage. 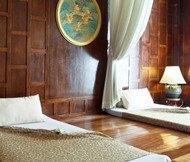 The massages that are offered here come in many types and varieties of Thai massages, aromas therapy massages. What caught my eye was the Indian Ayurvedic massages. I went for the Merudanda Massage. My partner khun Kung went for the Turmeric Scrub. 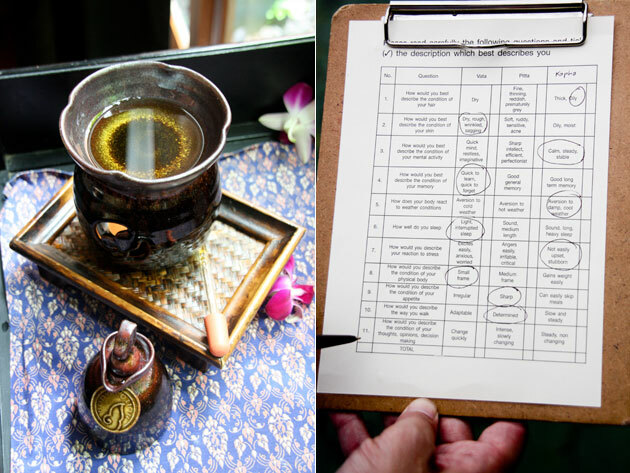 For the Indian Massage, a form must be filled to evaluate the body elements. So the therapist can provide the right treatment for that element. We where guided out to the back door. It opens out to an out door hall way surrounded by high walls and large doors. 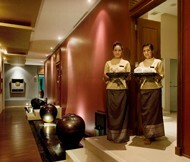 The hall way leads to all the treatment suites and a beautiful lotus lake at the end. What seemed like a small spa is no more. The design plays with the human scale to cause an out of place feel. It is really exotic. 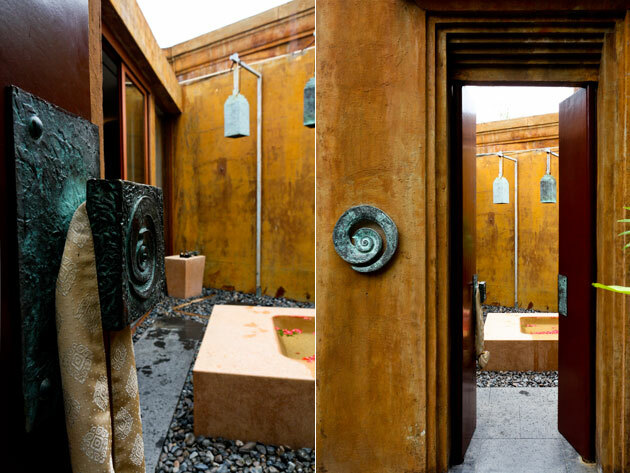 Our treatment suite has an outdoor courtyard with large bath and two rain shower heads. Inside there are 2 treatment beds and changing room. The treatment starts with a milk foot bath and salt scrub and a refreshing peppermint spray. 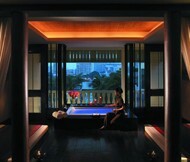 While Khun Kung was having the Turmeric Scrub which is suppose to make her skin beautifully clear, smooth and glowing. My Merudanda Massage starts with heated oil. The heat from the oil makes the treatment more interesting and soothing. The oil does not have a significant aroma but it has a slight old world herbal scent. Very different from aroma oil used commonly. 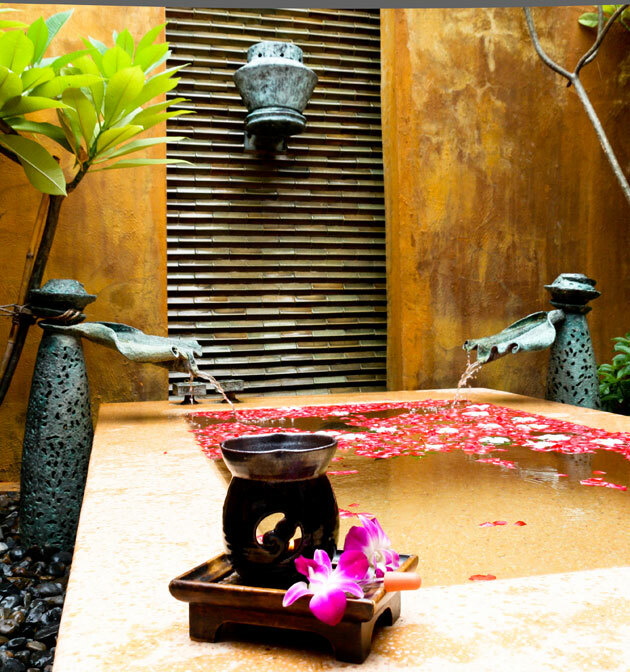 The therapist drips hot oil to the Marma points on the body which makes a tingling sensation. Then she did a great job with her slow continuous movements which is to give balance to my fire element. The slow rhythm from legs to the back makes me half asleep and half awake. Rhythmic motions combined with pausing and speeding up seems like a dance. Relaxed and entertained, a really nice way to spend an afternoon.